All rhinoceroses are included in the CITES Appendices. 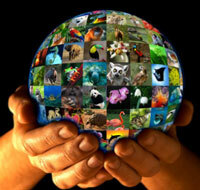 The date of the listings and full history of the listings can be found on the Checklist of CITES Species. On 18 June 2012 in Rio de Janeiro, Brazil the United Nations TV (UNTV) and the CITES Secretariat launched the film Rhino under threat. It was screened at the Good Planet Film Festival as a part of the UN Conference on Sustainable Development, also known as Rio+20. A shortened version was later released by UN Stories in 2013.